A lot of solid waste is generated in every country of the world. Among various disposal methods used for management of solid waste, open dumping is mostly used in many countries, especially developing countries. Due to open dumping, the environment becomes polluted. It also creates aesthetic problems at the site. Industrial and agricultural wastes are simple to handle being of specific characteristics. This chapter describes in detail the composition of municipal solid waste, various problems arising due to solid waste, approaches used for solid waste management, and environmental recycling system (ERS). 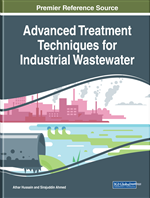 ERS, its components, and methods for segregation of waste have also been discussed in detail in this chapter. Unplanned growth may result into lack of space, generation of pollution and solid waste disposal problems. Municipal solid waste is considered as a complex waste which contains different physical and chemical constituents. The type and composition of solid waste is dependent upon type of the consumer products, culture, climate, regulation of country, life quality etc. While selecting any method for management of waste, the information about the constituents of waste and its composition becomes necessary. It also determines the frequency of collection of waste and method used for disposal of waste. Generally solid waste in any country includes organic matter, plastic, waste of wood, paper, glass waste, metallic waste etc. Global average for generation of solid waste is around 0.6 kg/capita/day. However waste generation rate as high as 2.7 to 4.0 kg/capita/day has been reported in case of developed countries. Organic like food, vegetables, meat etc.